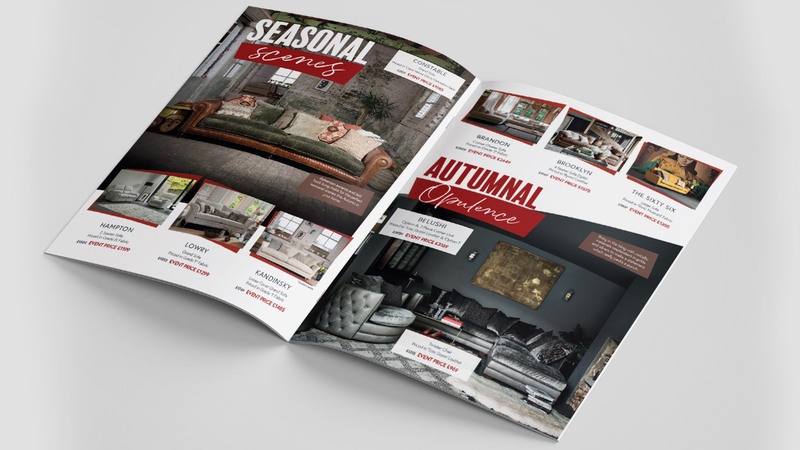 A leading independent retailer that has been in business for over 125 years and only sell the highest quality furniture. 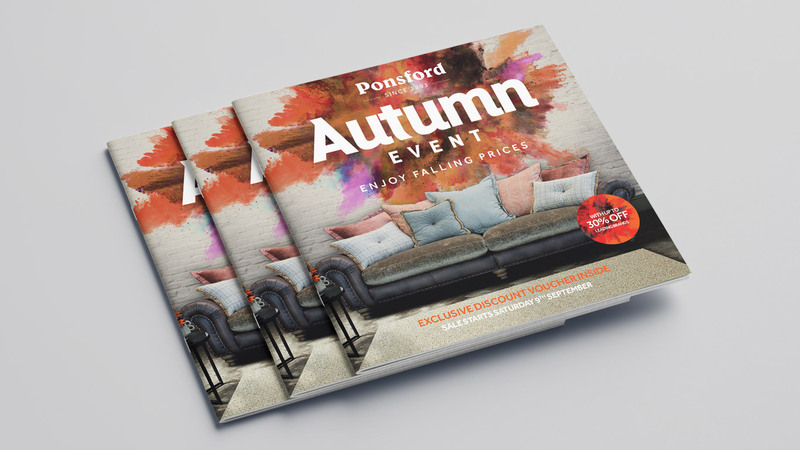 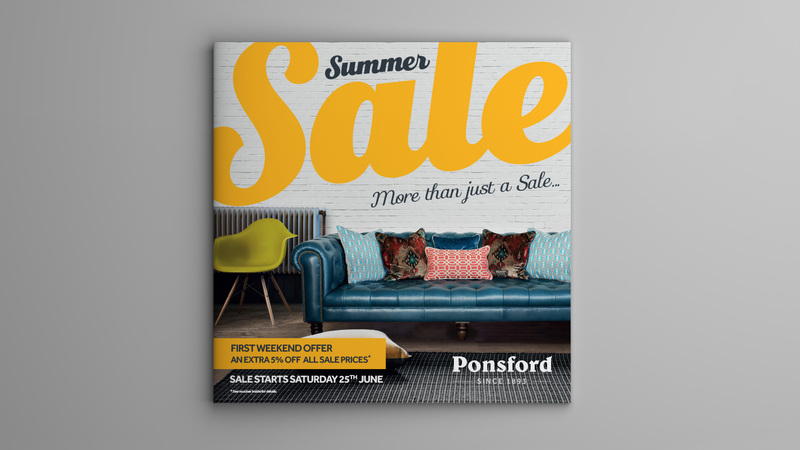 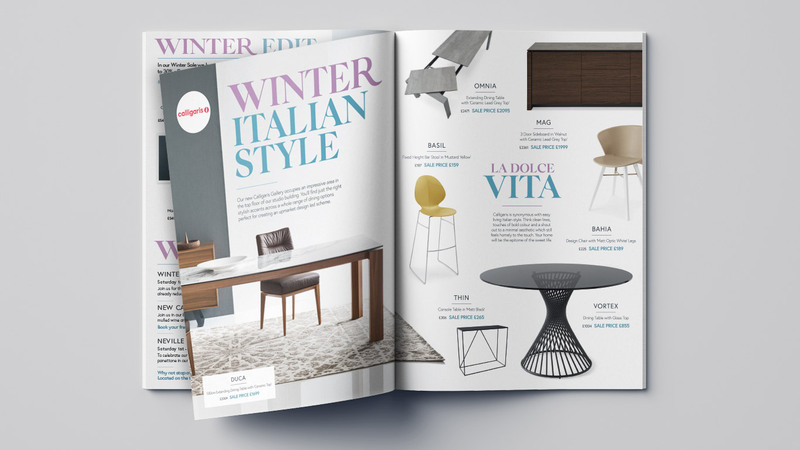 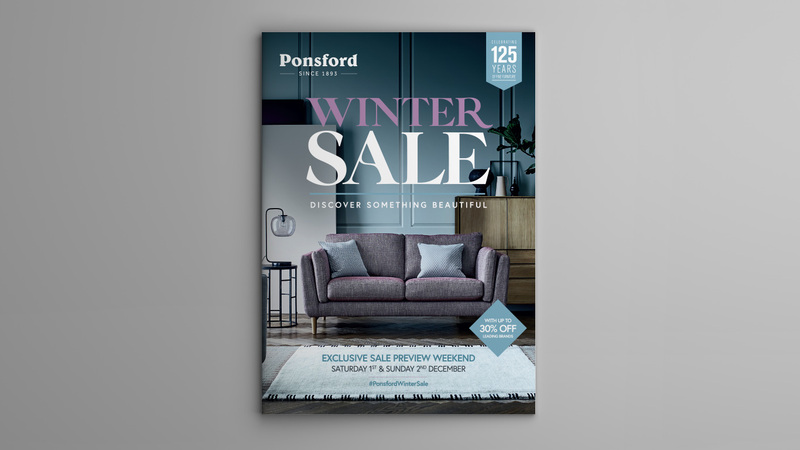 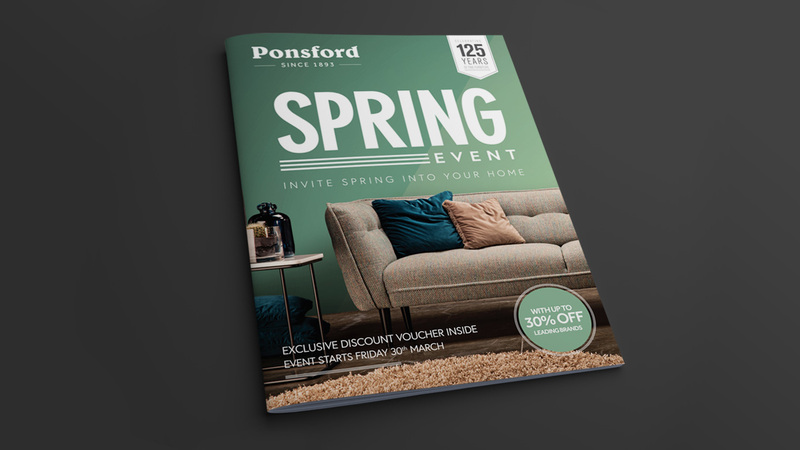 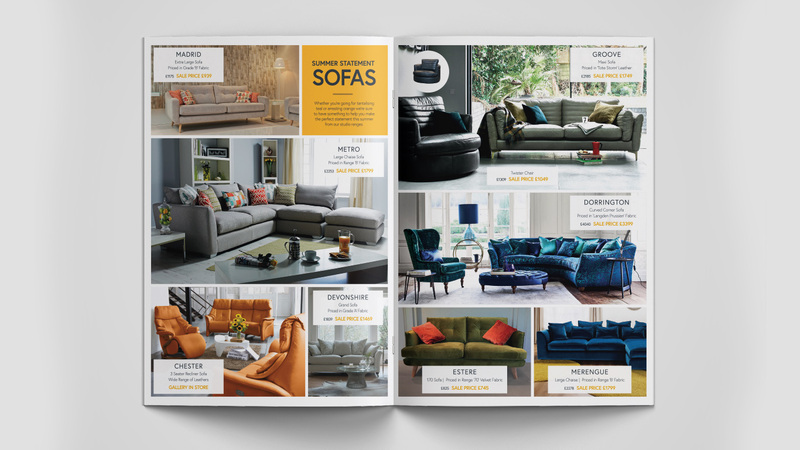 We started working with Ponsford a number of years ago, challenging us to come up with creative solutions to push their sales campaigns, and we continue to push the bar even higher today. 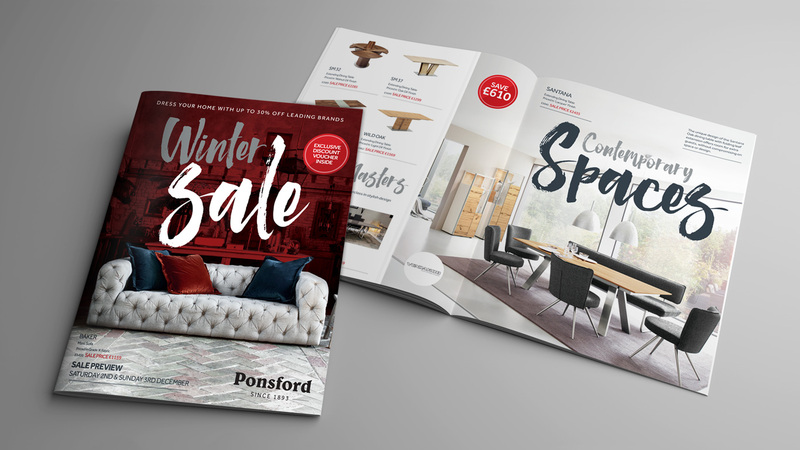 Creating beautifully crafted designs for their direct mailing brochures, promotional collateral such as large format signage and recently a logo refresh to encompass their successful past.